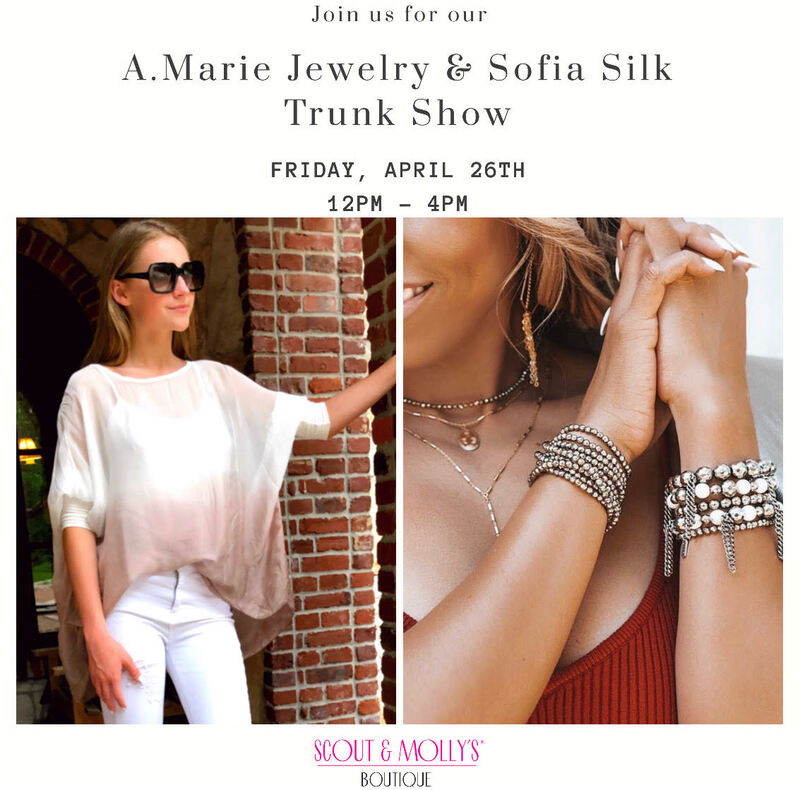 Kick start your weekend and the start of Art in the Square with a dual trunk show featuring Sofia Silk (a washable silk line designed and made in Tuscany, Italy) and A. Marie Jewelry (chic jewelry line handmade in LA with semi-precious stones and metals). Come sip & shop! Copyright 2019 Scout & Molly's Southlake. All Rights Reserved.